Argentine football fans have demonstrated against a ban on their beloved 'choripan' sausage sandwiches, traditionally sold by illegal vendors but now outlawed because of alleged links to hooliganism. 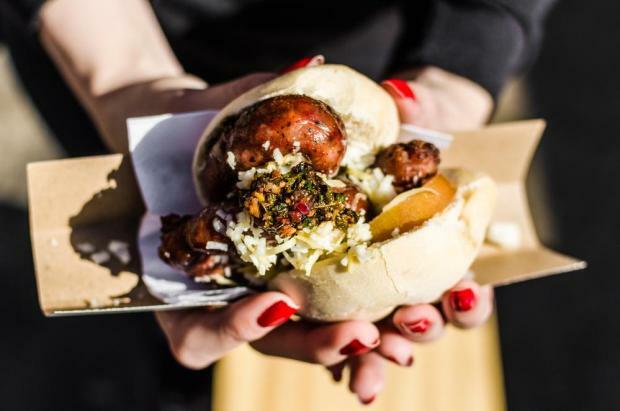 The choripan, made with chorizo sausage and bread, has been banned as a hygiene measure and as a move to cut funds to football hooligan groups who take a cut of the profits, authorities said, announcing they would replace the illegal wood fired grills with official food trucks. But a left-wing workers group, the CTEP, have organised demonstrations against the banning of the traditional fare with spokesman Gildo Onorato claiming that in a time of economic crisis the move hurts ordinary citizens. "It's a smokescreen to make you think they are tackling the hooligans when it in facts hurts the little people," he said. The group handed out free choripans at a demo on Thursday.